As young Indian golf sensation Aditi Ashok stands just four strokes off the pace at tied 8th, she raises hopes of an Olympic medal. 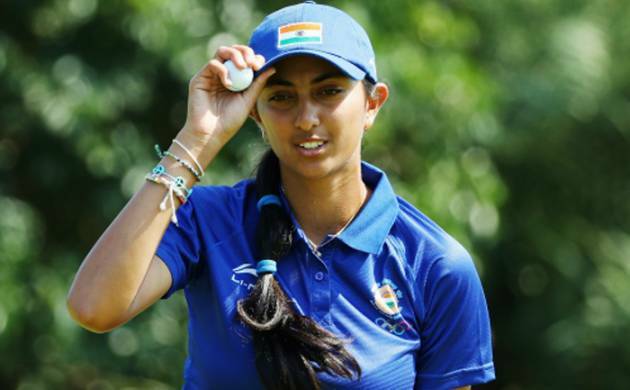 Aditi Ashok, professional Indian golfer is the first Indian to have won the Lalla Aicha Tour School which secured her her Ladies European Tour card for the 2016 season. This also made her the youngest winner of a Q School for an international tour. Aditi is India’s only woman golfer at Rio 2016, when the sport makes it return to the Olympics after 112 years. Her career highlights: In 2011 she had USHA Karnataka Junior, Southern India Junior, Faldo Series Asia – India, East India Tolly Ladies, All India Championship and in 2012 she took away USHA Delhi Ladies, USHA Army Championship, All India Junior. In 2013 Aditi clinched Asia Pacific Junior Championship and in 2014 it was Eastern India Ladies Amateur, USHA IGU All India Ladies & Girls Championship. However in 2015 she won Army Ladies & Junior Championship, St Rule Trophy, Southern India Ladies & Junior Girls Championship, Ladies’ British Open Amateur Stroke Play Championship, Thailand Amateur Open. In 2011 she got Hero Professional Tour Leg 1, Hero Professional Tour Leg 3.